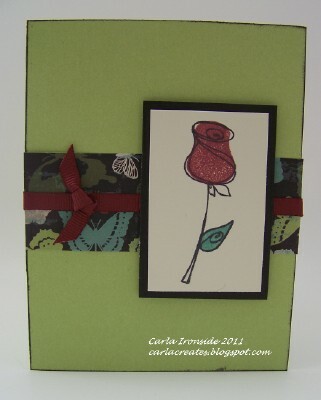 Carla Creates: A Rose for You! A clean and simple card for you today . . . there is something about a single red rose!! I didn't think this card needed any sentiment. Wowie, what a beautiful card! I love the rose and agree, it doesn't need a sentiment, it's a real statement by itself! Beautiful! Very pretty, Carla! Love the CAS look!